I was recently reviewing my flight bookings for the months ahead and it struck me that most will be with Singapore Airlines. It’s quickly become my carrier of choice, which isn’t surprising given it offers excellent experiences on the ground and in the air, a large international network, and very good award seat availability. 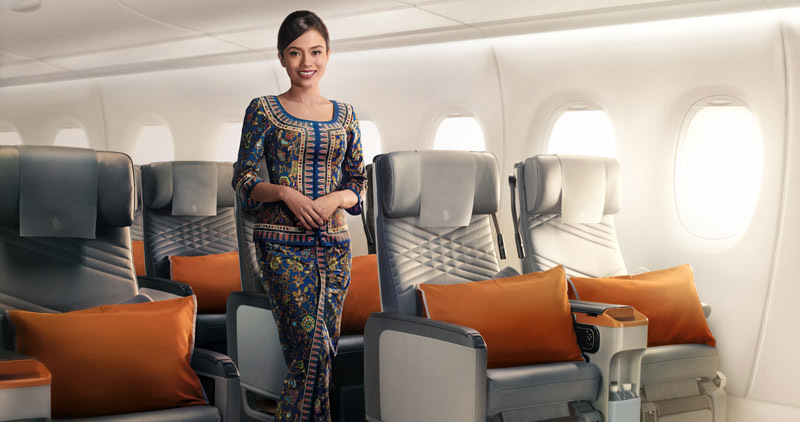 Singapore Airlines is also a member of Star Alliance, the world’s biggest airline partnership, which gives me access to carriers around the globe – and they are increasingly bookable online through Singapore Airlines’ website, which is handy. Other things I love about Singapore Airlines’ frequent flyer program, KrisFlyer (other than the name, of course!) is that award tickets are reasonably priced, you can get a free stopover on a roundtrip booking, and there are no fuel surcharges. I especially find it useful that I can secure business and first class award seats with relative ease. Sometimes, it’s just not practical to book 12 months ahead, as you often need to do with Qantas Points flying into or out of Australia in premium cabins. I rarely have trouble finding seats with Singapore Airlines closer to the date of travel. While Singapore Airlines did recently increase the cost of award seats on its own network and with partners, it still represents very good value, especially in comparison with the costs (including high surcharges) of Qantas Points bookings. If you’re wondering how I accumulate enough points to fly with Singapore Airlines, it’s actually not that hard. First, Singapore Airlines is a transfer partner for many credit cards in Australia that earn a ‘flexible’ points currency, which is typically a card issuer’s own-brand currency, like Westpac’s Altitude Points or Amex’s Membership Rewards points. I love these kinds of currencies because they don’t lock me into any specific airline frequent flyer program. Second, Velocity Points can be used to book Singapore Airlines seats both directly through Virgin Australia or by transferring Velocity Points to Singapore Airlines’ KrisFlyer miles (which then allows you to access the broader Star Alliance network). I’ve written a separate post about this topic. While points in your Singapore Airlines KrisFlyer account do expire after three years, this can be avoided by only transferring points to it as necessary to make a booking. 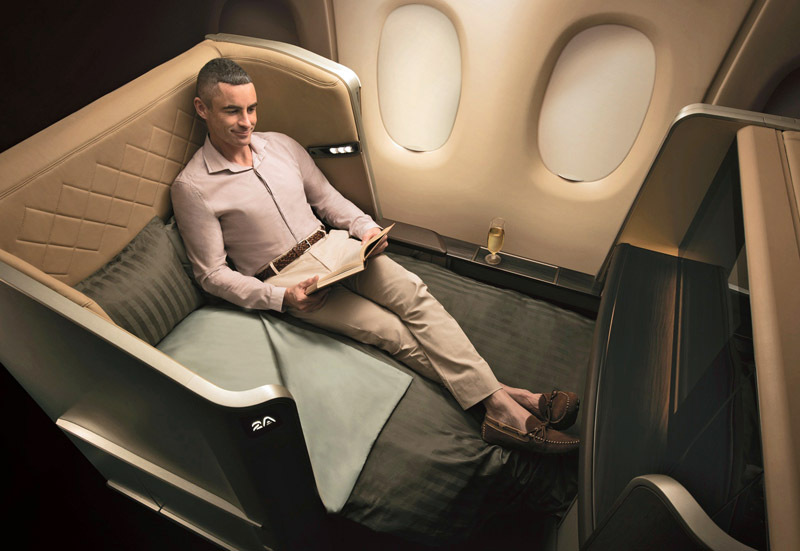 In the months ahead, I’ll be reviewing several of Singapore Airlines’ first and business class products to illustrate why it’s a great option for Australians looking to travel in style using points. In the meantime, if you want to start accumulating points to use with Singapore Airlines, check out the flexible currency and Velocity Points options I mention in this post. The two cards I personally choose to hold are the Amex Explorer Credit Card and Amex Platinum Card (which offers a huge 120,000 bonus points until 30 August). It’s become tricky to apply for a new card when retired….changed income level! However, it would be nice to see card companies cater for those who own their house, their car, their everything, have money in the bank, have paid every bill forever and have never defaulted in their entire lives! They are not likely to falter now. And we still spend the same money on our cards! Anyway, thanks to your suggestion I did apply for an HSBC card as 60,000 QF points were on offer and despite having to jump through several hoops to prove I wasn’t a risk, I was successful. 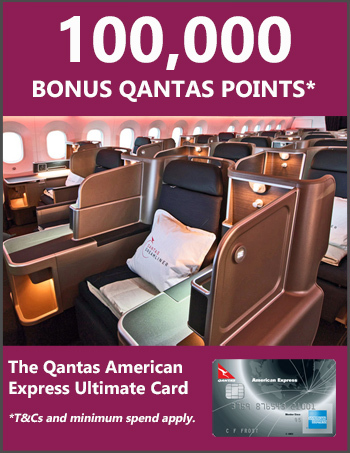 Only downside is pretty much being stuck with Qantas and they are not particularly brilliant for Bronze FF members! But I will soldier on. That’s great news, Pam. Yes it’s tricky for retirees, but the level of difficulty seems to vary depending on the card issuer. If you want to pair you card with an Amex, I’ve heard from some self-funded retirees who have been successful with Amex. Amanda, I have Virgin High Flyer Visa card as a back-up for when Amex isnt an option. Its a pretty solid card, does have a $289 annual fee, but thats negated fully by a $129 Virgin voucher, plus a free domestic roundtrip economy flight each year. More details on Velocity website.